A yummy twist on an expensive treat…. Alison & I make this every year for all of her friends, and she tells me that they love it. 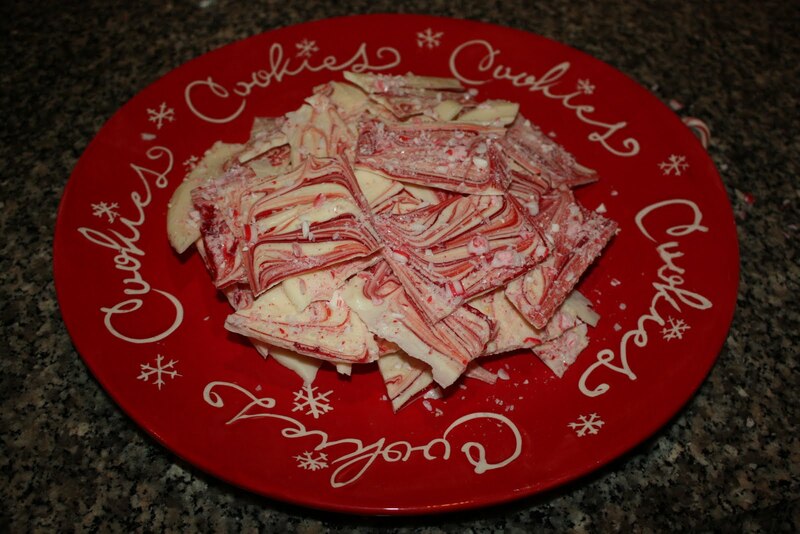 It’s peppermint bark!! 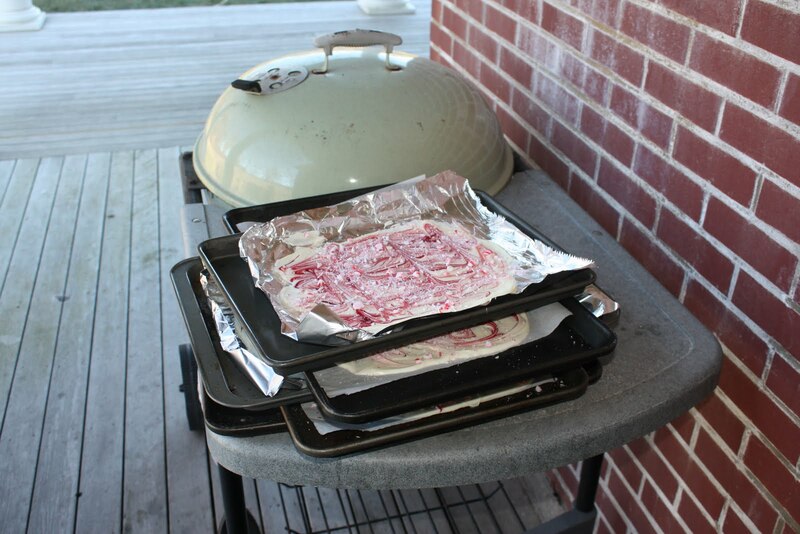 It is so easy & so tasty I am blown away at how expensive it is to buy already made in the store…. first, melt the white chocolate.. I use my microwave & melt it in 40 second intervals, stirring after each one. YOu can use the double- boiler method, or my friend, Glenda uses a mini crockpot.. all methods work, just make sure that your bowl is clean 7 DRY before adding chocolate or it will seize up into an unrecoverable globbly mess. 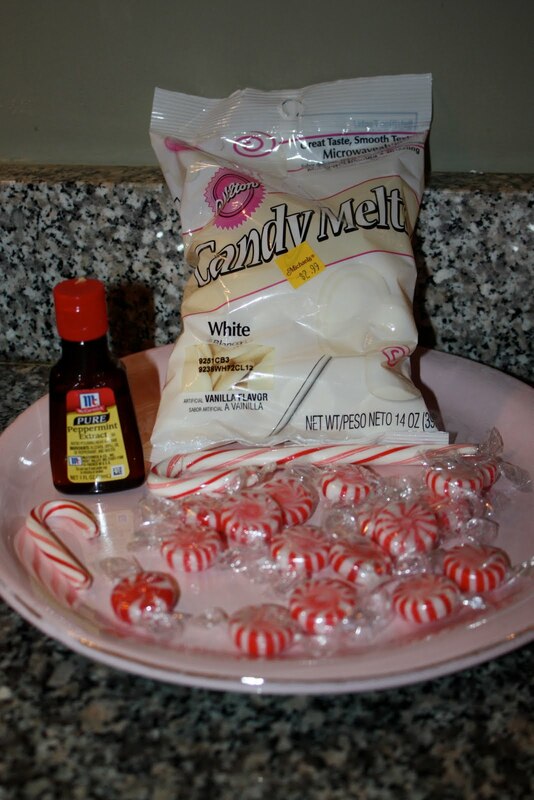 you can melt multiple bags at a time..
when chocolate is all melted, add peppermint extract…. about 1/2 tsp per bag ( be careful, this stuff is strong).. stir well. pour mixture onto parchment – lined cookie sheet ( or if you ran out of parchment like I did, then use aluminum foil) & spread randomly around. Have fun…. 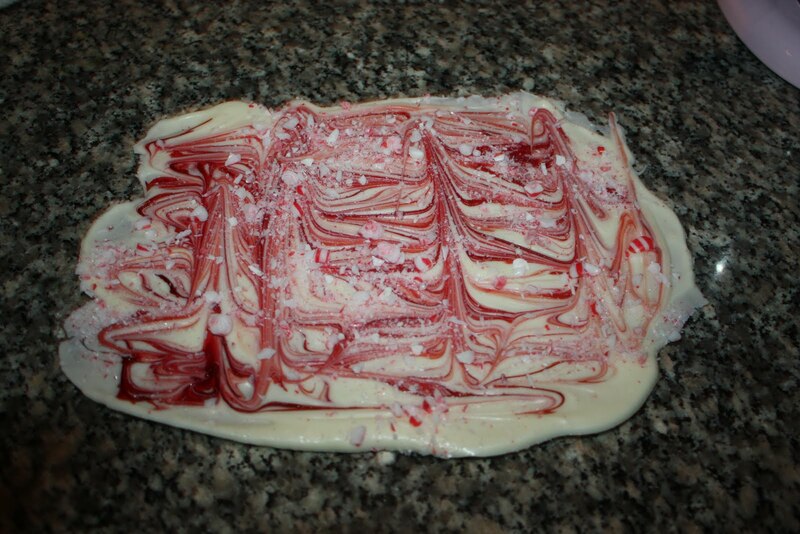 make funky shapes..
Drop random drops of red food coloring over melted chocolate & use the tip of a knife ( or a kebab stick) to swirl the color all throughout he chocolate…. I like to swirl in all different directions. Remove from tray & break into assorted pieces….. 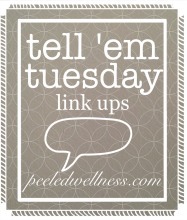 This is so easy & perfect for gifting. I put pieces in clear plastic bags with fancy ribbon and voila!! « An easy make-ahead cookie…. pssssttt Michelle, I made some of this but with popcorn. It is sooooo good. The recipe is on that Our Bites blog. Way easy.